​Personally, I think there are very few cooler things than freeze dried ice cream. You don’t need to be an astronaut, though, to enjoy it! 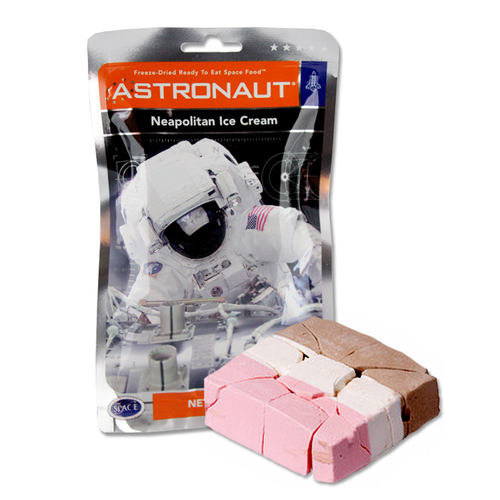 Introducing “Neopolitan” freeze dried ice cream- with three delicious flavors (chocolate, vanilla and strawberry) and 97% of the water content removed, you can now experience the same great dessert that astronauts get the opportunity to eat. Did we mention that this ice cream has a three-year shelf life?